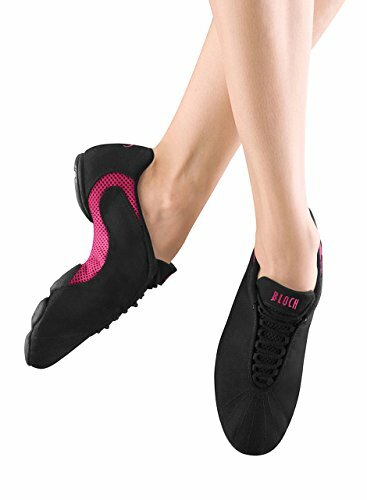 Cross-over jazz shoe to dance sneaker with canvas and mesh upper. Ultra lightweight, flexible design construction providing freedom to move the feet through all positions. Sleek form with exaggerated arch profile creating an elegant fit. Dri-Lex lining that is non-wrinkling, breathable and odor, mildew resistant. Non-marking thin split sole and intelligent flat lacing system. Material: Canvas.